Witney Rotarians work to encourage, foster and promote international understanding, goodwill, peace and fellowship around the world. The Bishop Simeon Trust supporting orphans and vulnerable children affected by poverty and HIV/AIds in South Africa. The Joe Homan Charity. The Rotary Club of Witney has been a long term supporter of this charity working in South India and Thailand which maintains Residential Homes for disadvantaged children and aims to improve their opportunities and lifestyle by encouraging them to obtain education, and vocational training. Polio Eradication A major programme financially supported by Rotary Clubs across the World for the past 30 years, in recent years similar support had come from the Bill & Melinda Gates Foundation. 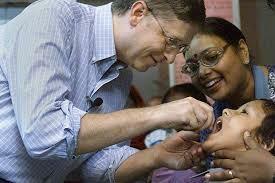 Since 1985 the number of countries suffering endemic polio has been reduced from 125 down to just 2! Witney Rotary Club continues to add it's support , raising funds from street collections and other events. WOVA (West Oxfordshire Vetka Association) is a small local charity based in Witney which works in the district of Vetka in the Gomel Oblast of Belarus. 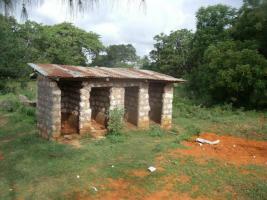 Kilifi School Latrine Project A number of local Rotary Clubs, including Witney, formed a fund-raising consortium which succeeded in improving the toilet facilities for pupils attending a number of rural schools in Kenya. The Ebola Outbreak in West Africa was a major source of concern in 2015. 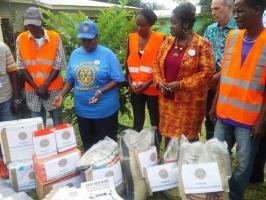 In Liberia the Rotary Club of Monrovia has taken a lead in bringing support to local communities. Witney contributed £1200 through a Rotary Street Collection towards the cost of defeating this frightening illness. 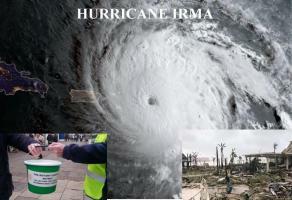 £1200 raised for Disaster Shelter Boxes for stricken families in the Caribbean. 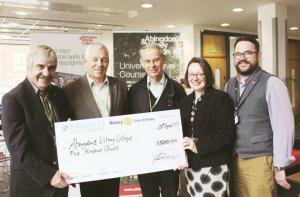 Six Witney students from Abingdon & Witney College undertake the trip of a lifetime to Nakuru in Kenya to help 500 children living on a Rubbish Dump! Learn about the World-wide fight to eradicate Polio and how The Rotary Club of Witney plays its own small part. 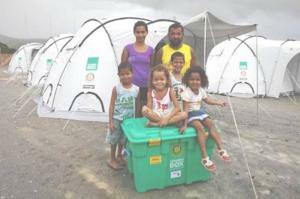 Providing Urgent Emergency Aid to Victims of Natural Disaster. 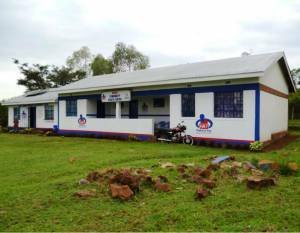 Witney Rotary Club is a partner in a follow-up project improving toilet facilities in several more village schools in Kalifi, East Kenya.